It’s hard to believe that it’s been 6 years since I first met then-congressional candidate Ron DeSantis at some GOP candidate picnic in St. John’s County. Several of my friends from Jacksonville called and asked me to speak to the little political whippersnapper, adding that DeSantis was eager to jump into the Shark Tank. We obliged and made the drive north. Since then, Ron and Casey have become friends, and he has jumped into the Tank on many, many occasions, and has become a Fox News darling. Now Ron is running for governor against one of George Soros’ liberal socialist candidates, Andrew Gillum. Here is the very first video interview we did with Ron in March 2012. Nothing much has changed with Ron, as he is the same conservative stalwart he’s always been. 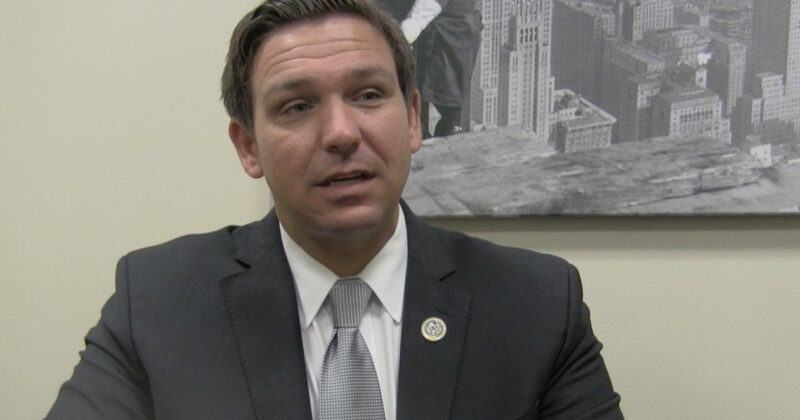 You can also learn more about Ron DeSantis here.